Painting for a Purpose – Success! Thank you to everyone who came out for the Painting for a Purpose event on February 24th. This was the second year we had this type of fundraiser and the feedback is unanimous – we will turn this into an annual event! Although it was originally scheduled for a weekend that snow was predicted, the new date still gathered 47 people together for fun, fellowship and fundraising! We painted a beautiful canvas with a calming message – Just Breathe. This is useful for us all to remember during busy times and especially in the depth of winter when darkness seems never-ending. The staff and Board members of the House provided refreshments for all as well as numerous raffle baskets. Thank you to John and Brook at Pinot’s Palette in Collegeville for a fun time together, painting for a purpose! 2 avacados for every 1 jar of Trader Joe’s tomato-less corn salsa – enjoy! Please save the date for April 6, 2019 and get ready for an amazing performance! With such an amazing response at our first spring cleaning event last year, we decided to do it again! Make a pile of all those papers and come spring, you’ll have a great place to shred -for a great cause! We’ve had so many wonderful volunteers over the past three years but we are always looking for more! If you are interested in learning about how to volunteer with our organization, please join us on Tuesday, January 15, 2019 at 7pm at the Kimberton Conference Center. We are excited to share with you all the new opportunities and work with you to help women break the cycle of poverty and dependence. If you plant to attend, let us know by RSVPing here. More than 60 people cleaned out their desks, drawers and filing cabinets to help us raise over $1,100 at our 1st Annual Spring Cleaning Shredding Event in April at the Kimberton Fairgrounds. Special thanks to Kimberton Whole Goods and Wiggins Shredding, Inc. for making the event possible. 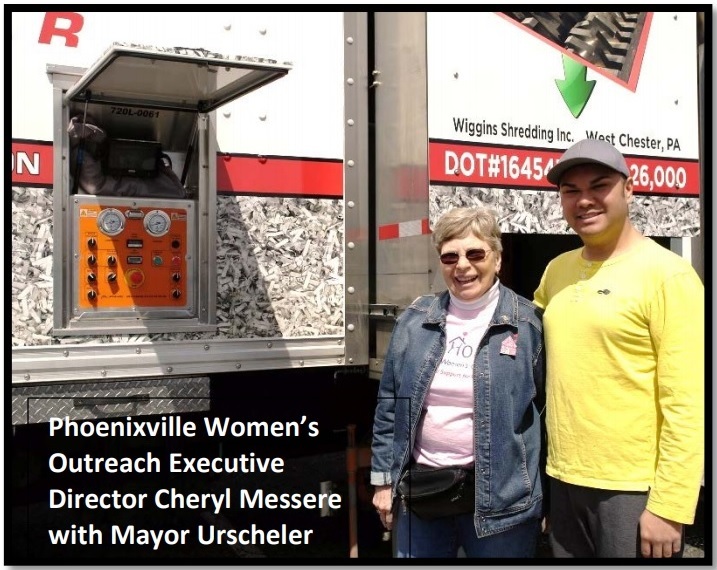 Volunteers from the Phoenixville Dogwood Queen contestants, Jaycees, Soroptimist International, and Borough Mayor Peter Urscheler and Councilwoman Beth Burckley donated time to make everything run smoothly. All proceeds enable us to continue to provide resources and services to help homeless women break the cycle of poverty. 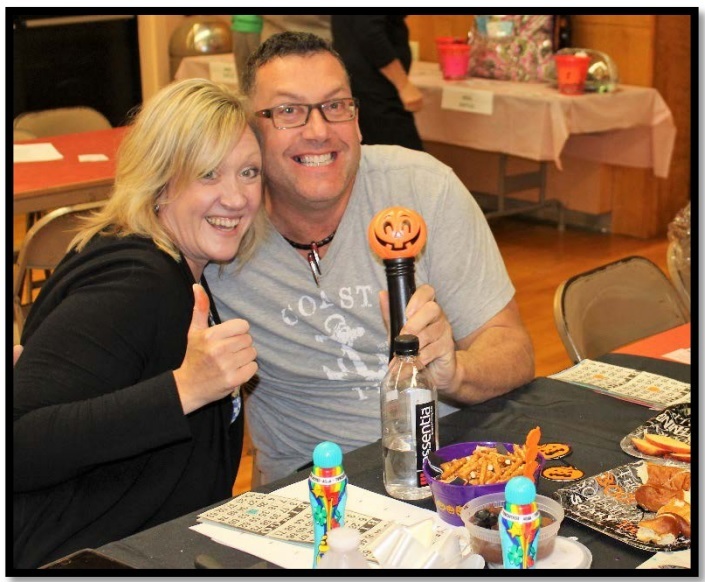 The Guys and Dolls BINGO Fundraiser took place on October 6, 2018 and profited over $15,300 for The House. Raffles and numerous prize baskets made this a fun “date night” experience. Mark your calendar for next year’s Bingo event on October 5, 2019 at the Kimberton Firehouse. 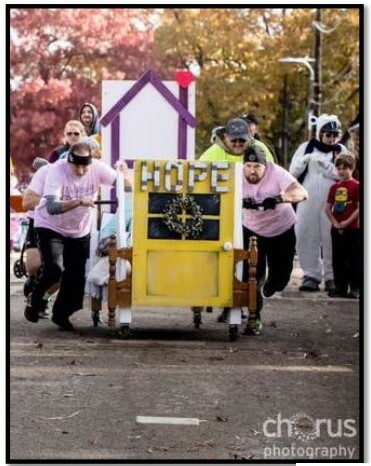 Our team entered its “House of Hope” bed in Phoenixville’s Bed Races on November 3. This unique event brought in $1,100 for The House as well as 3rd place bragging rights! Special thanks to the builders and racers who helped make this possible!We hope to enter into this hometown event again next year. Let us know if you want to be a part of the fun! Phoenixville Women’s Outreach and The House are excited to again be involved in the Boscov’s Friends Helping Friends program. Shoppers who purchase this 25% off Shopping Pass from us for just $5 are supporting our program directly since all proceeds from the pass sales go to Phoenixville Women’s Outreach. Shoppers can use the 25% coupon at any Boscov’s location on Tuesday, October 16, 2018. The shopping pass also serves as a raffle ticket. When shopping, just drop your ticket stub in to win. Each Boscov’s store will pick one winner to receive a $100 shopping spree. Additionally, 3 lucky winners will win a $500 shopping spree! Painting with a Twist in Royersford presents Painting With A Purpose! 100% of the net proceeds from this event will benefit Phoenixville Women’s Outreach and The House! Come to our autumn event, “Coffee with the Artists” at the Kimberton Inn on October 22nd from 2 pm – 4 pm. Special guest will be Phoenixville Artist, Teresa Haag. Ticket cost: $5 per ticket or $10 for 3 tickets. Drawing will be October 22, 2017 at our “Coffee with the Artists” event at the Kimberton Inn. We will be at The Kimberton Fair selling our jam and other goodies. Also, you will be able to buy raffle tickets for The House Quilt.